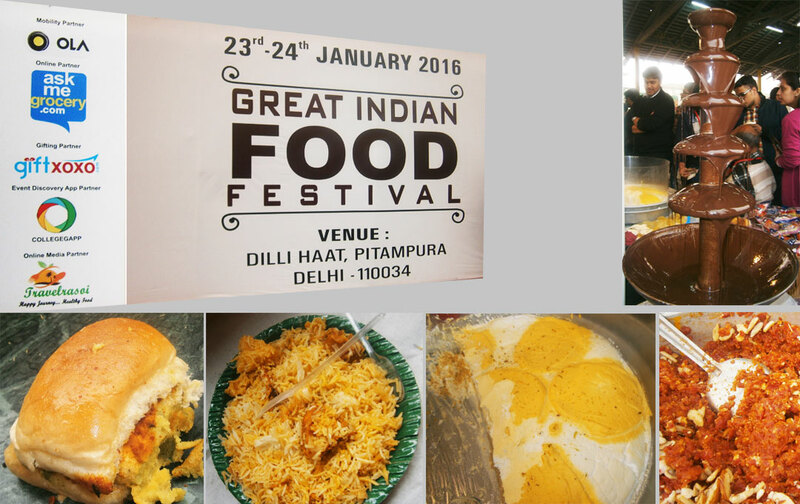 The Great India Food Festival (GIFF) was not just another food festival. 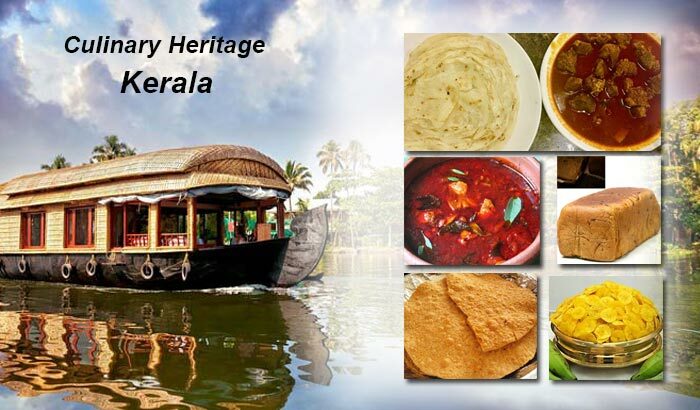 But it was a festival that celebrated the essence of street food from different parts of the country. 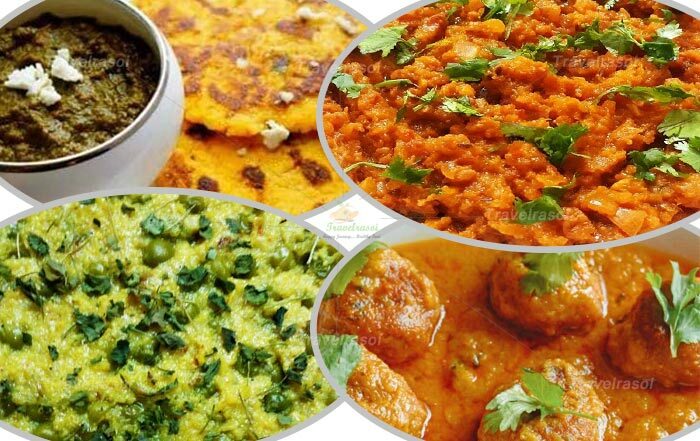 So be it Bombay ka VadaPav, or Hyderbadi Biryani or Amritsar’s Sarso da Saag, this was an opportunity to relish all of these food, brought to Delhi by some of the biggest names, under the same roof. Reaching the place was not very difficult for us as it is situated close to Netaji Subhash Place metro station, just a 5-minutes walk from here to the venue. As we entered, I realized that Dilli Haat, Pitampura never seemed so lively as it appeared on that day. It was really overwhelming to have been surrounded by street food stalls on all sides. We were told that the footfall on the 1st day of the Fest was around 4000. The 2nd day being a Sunday was expected to pull even a larger crowd. 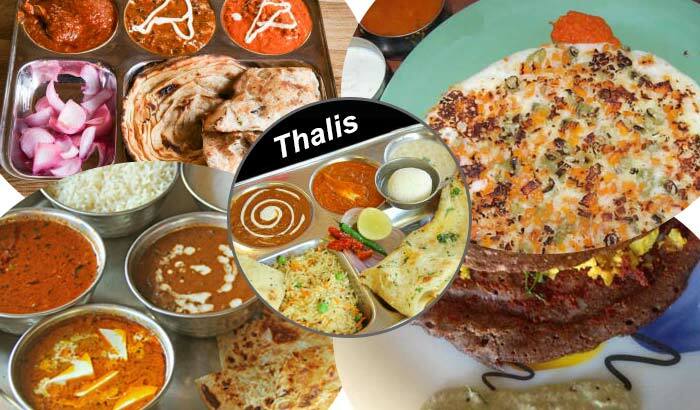 The fact that it was on a weekend worked in its favour and also because Delhi is known to be a hub for street food, its street food lovers would not have liked to give it a miss. 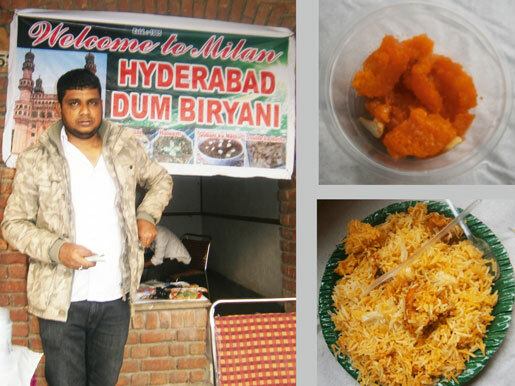 Just when we were deciding which stall to visit first, our eyes fell on Milan Biryani & Haleem. I have had Hyderabadi biryani in the past but this was the first time I was experiencing the delight of savouring it while in Delhi. Younus and Yaseem Khan who together run this business were pleasant to talk to and they gave us an extra helping of the Vegetable Dum Biryani that we tasted. The Biryani was served with mirch ka salan that is made of sesame seeds, curd and green chillies. Seriously, nothing can beat the authenticity of Hyderabadi biryani and that too paired with mirch ka salan! We were also made to taste Double ka Meetha, a popular bread pudding dessert from Hyderabad that would be an instant favourite for anyone with a sweet tooth. The bread used to make the pudding was claimed to have been brought specially from Rose Bakery in Hyderabad to prepare it. 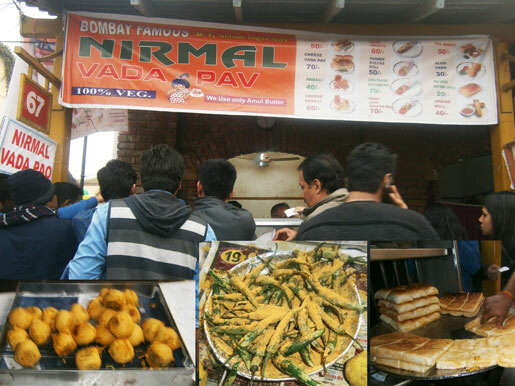 In spite of having a plate full of Hyderabadi Biryani, we felt tempted to try Vada Pav at the sight of Nirmal Vada Pav. You could have easily spotted this stall from the huge crowd that had gathered before it. We had to wait for our turn but the wait was worthwhile. The vada pavs are served specially with deep fried chillies with masala sprinkled on it. We tried a new item, Dabali that had pomegranate seeds mixed with ‘sev’ and ‘mungfali’ in between the ‘pavs’ accompanied by a mithi chutney. The stall also had other popular snacks from the streets of Bombay like Vada Pav, Pav Bhaji, AlooVada, Mattar Kulcha, Sev Puri, Chinese Vada Pav, to name a few. Yogesh, the owner of Nirmal VadaPav told us that his father had sold the first Vada Pavs at 50p each when he started initially and that this business has been up and running for the last 30 years in the Kandivali area of Mumbai. For me Delhi always tops the chart when it comes to street food and my joys knew bounds at having seen the chaats, chole Bhature and the gol-gappas that this city is so famous for at a stall put up by Shree Radhe Radhe Caterers. 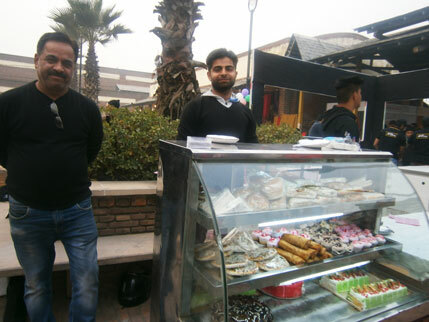 Nitin Gupta informed us that they have been into this business for the last 30 years and have been a popular name in the West Delhi region. 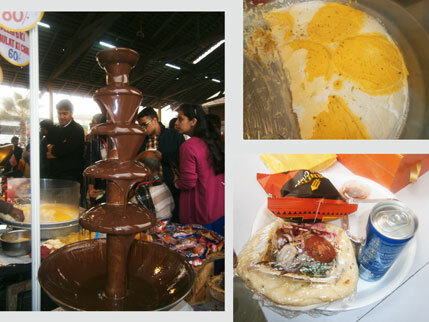 We neared another stall by the name Foodies that had on display a big chocolate fountain to attract visitors. Hot Chocolate muffins were getting sold one after the other. 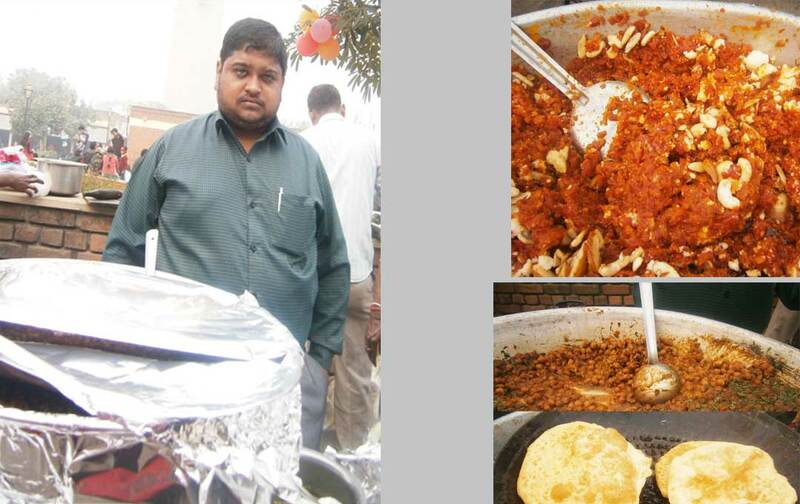 They also had a platter in which they kept matar- kulche, a packet of Nachos, a cold drink, salsa dip and pasta. However, the most interesting thing that we set our eyes on at the stall was the famous Daulat ki chaat, as it is known in old Delhi. This chaat takes almost the whole night to prepare and is churned out of buffalo milk, kesar and fresh cream. This winter delicacy dates back its origin to 70-80 years, when it was first made popular in Kanpur by a man named preferably ‘Daulatram’. Just when we were discussing about Punjab not having made to the list of street vendors, we saw in front of us written in bold – Punjab Da Asli Swaad. “Yes, finally. How could they have missed that,” said Anjali. From sarso ka saag to chole bathure to Amritsari Nan, Hemant Kawatra, the owner of the food joint included everything in his menu that could have reminded anyone of the food of Punjab. 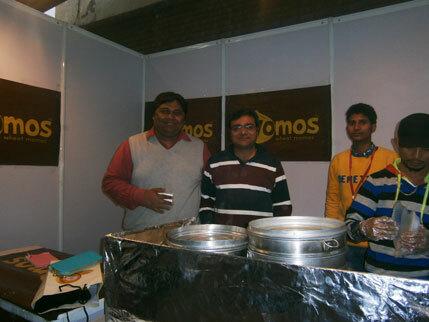 As we scanned through the stalls, what caught my attention was the name WOMOS outside a stall. As someone who loves Momos, I went and met Anshu Gautam and his founder-partner who were initially bankers but later started this venture as they wanted to have something of their own. Womos that simply means wheat momos has made sure from the beginning that its outlets, wherever they are stationed in Delhi will take special care of the hygiene and quality of the food offered which most street food vendors often lack. Dogomos was another interesting item on their menu and when inquired we came to know that it is the Hot dog filled with fried momos and sauce. Some familiar faces among the new ones brought us some delight, as it also gave us the feeling that we indeed have come a long way while marking our presence in the Indian Food & Beverages circuit. Devendra Sharma of Parvatiya Preservatives, whom I had met at a previous event has put up a stall of his chutneys and pickles at this Fest too and it was fun to have met up with him at an event that serves both our purpose. 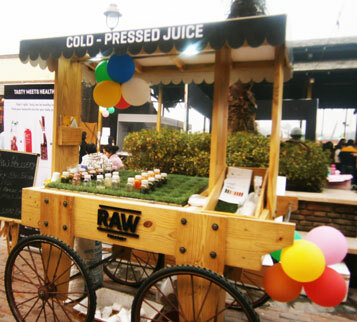 We also saw a special cart being put up by RAW Pressery, another of the companies that we have interacted with earlier. They had exhibited their no-preservatives, no-sugar cold-pressed juices, which now have an extended shelf-life of 21 days and customers can preserve these juices for a much longer period. We were nearing the end of our visit when we heard some loud cheers and claps. On enquiry we got to know that a golgappa eating competition had been organized, in which the participant had to gulp 10 golgappas in just 1 minute and the winners would be presented with gift vouchers from Ola Cabs. This emerged as a great success as around 3500 participants, mostly children had participated since morning till the time we visited in the evening. That was the end of GIFF 2016 for us but we had a fun-filled evening together. The efforts and hard work that went in it really showed and though not without flaws, it has been a good platform for many of the vendors who had come from far and wide to showcase themselves. 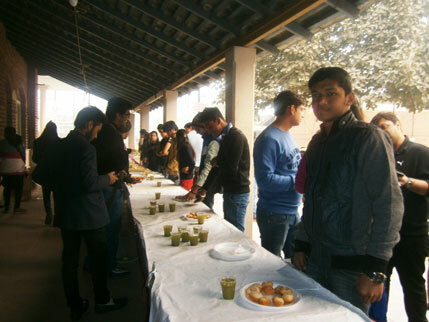 It has also been a good opportunity for Delhiites who had braved the cold to come and get a taste of the street food from across India at a single place. 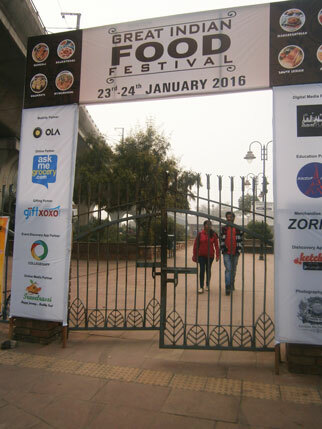 Share the post "Street Food of India gets Unified at GIFF"
I?¦ve read some excellent stuff here. Definitely value bookmarking for revisiting. I wonder how so much attempt you set to create this sort of excellent informative web site.